There are many reasons why toddlers might have trouble falling--and staying--asleep. They may be teething, testing limits, napping too much during the day or be frightened of the dark. One way to help a toddler who has trouble falling asleep is to add a bedtime snack that promotes sleep. Certain foods have a natural sedative effect on the body. With a little experimentation with different food combinations, parents can find the foods that will help their toddler to sleep peacefully through the night. AskDrSears.com identifies the amino acid, tryptophan, as particularly useful in inducing drowsiness. Tryptophan works with the body to produce the neurotransmitter serotonin, which makes you feel sleepy. Dairy products such as milk, cottage cheese, yogurt and cheese are among the best sources of tryptophan. 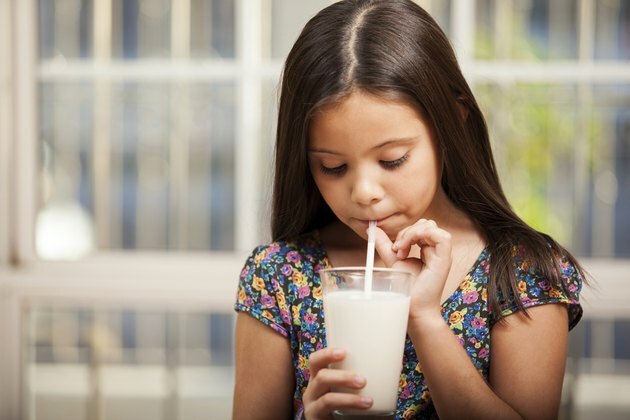 Dairy products also contain calcium, which helps the body process tryptophan and produce a second sleep-inducing neurotransmitter, melatonin. Consuming a small serving of cottage cheese or a warm glass of milk an hour before bedtime will help relax toddlers and induce sleep. AskDrSears.com counsels "Eating carbohydrates with tryptophan-containing foods makes this calming amino acid more available to the brain" which leads to deeper, more satisfying sleep. 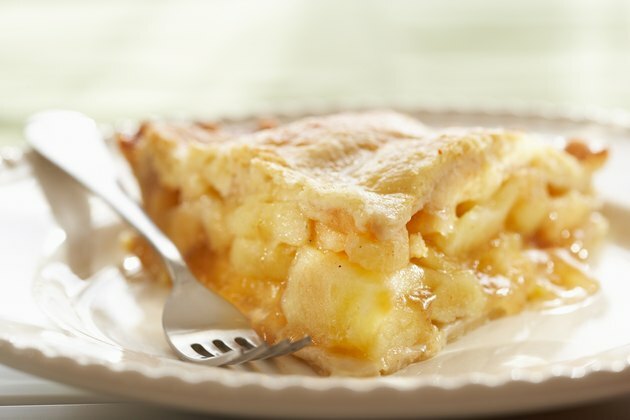 Snacks such as whole wheat crackers, whole grain toast, or a small slice of apple pie, coupled with cheese, peanut butter or a small serving of low-fat ice cream are good kid-friendly options. Snacks should be light, because too much food will interfere with a toddler's digestion, which will only keep him up at night. Another option is to pair a high carbohydrate and a low protein for a good bedtime snack. Bananas are another easy bedtime snack option. 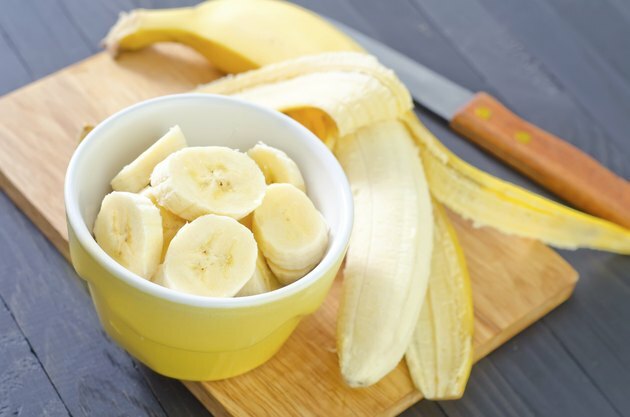 Washington State University reports that bananas contain melatonin, as well as serotonin, which helps to calm you and regulate your sleep cycles. They also contain magnesium and potassium, both of which are muscle relaxers. Instead of plain bananas, another option is to prepare a banana smoothie with a banana, some low-fat milk and a few cubes of ice. The calcium and tryptophan in the milk will enhance the sleep-inducing effects of the melatonin and serotonin. Oats have an extremely high concentration of melatonin, according to the January 2012 issue of the "Journal of Experimental Botany." 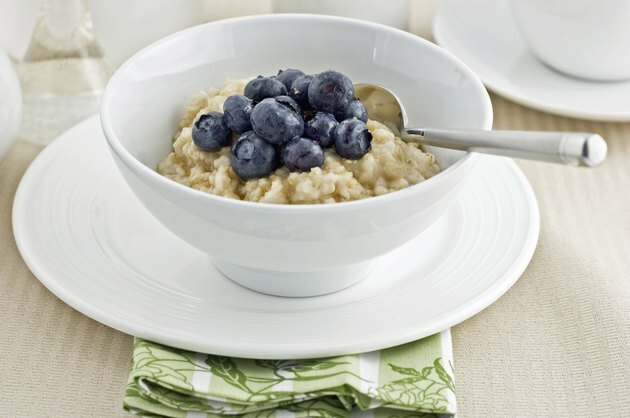 A warm serving of oatmeal may help your toddler feel full and enjoy a longer duration of sleep.